When I first found Breezebot Punch on Etsy, it happened to be right when I was moving into my new apartment. 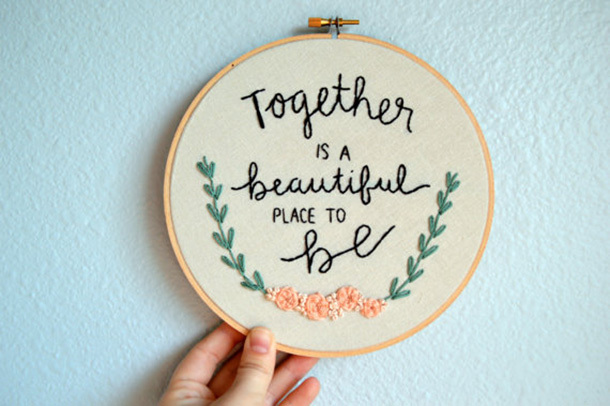 Naturally, I couldn't stop scrolling through Breezy's gorgeous selection of embroidered hoops, each one unique and lovely in its own way. 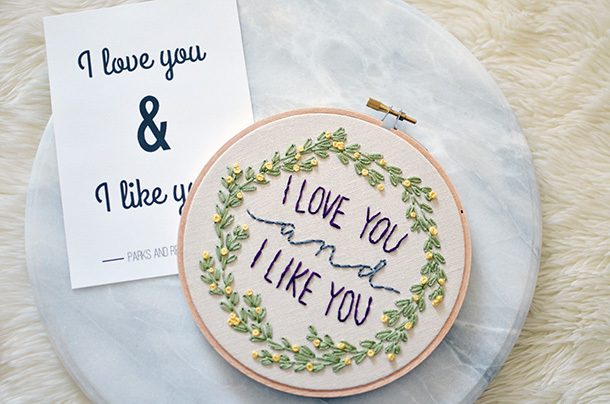 Breezy and I bonded over our shared love of Parks and Rec, and when she offered to make me the custom hoop above, I knew that no other item I could put in my apartment would ever be nearly as cute. 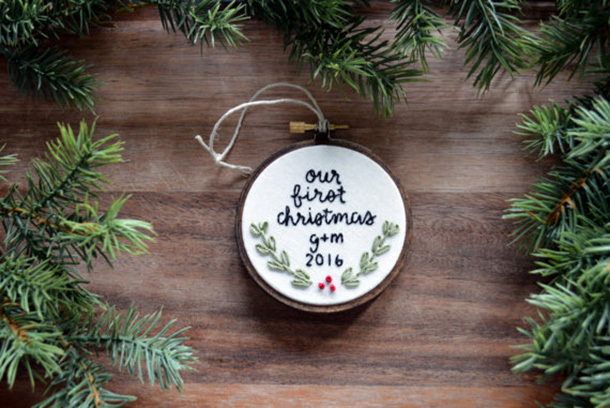 In addition to having great taste in TV, Breezy also makes other gorgeous custom hoops (which are perfect gifts), necklaces, and ornaments. 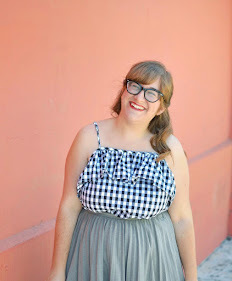 Below, get to know Breezy and fall in love with her items as much as I have. 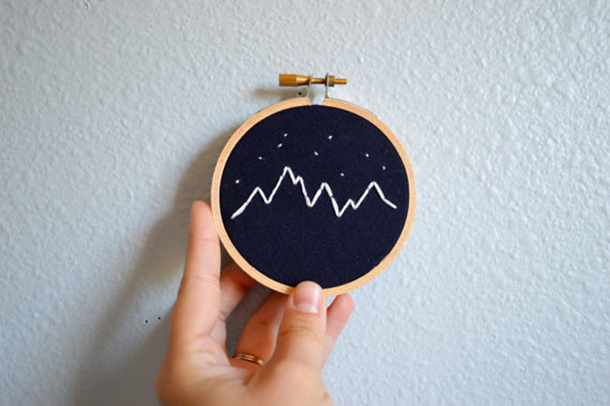 When did you first start getting interested in embroidery? About 5 years ago! 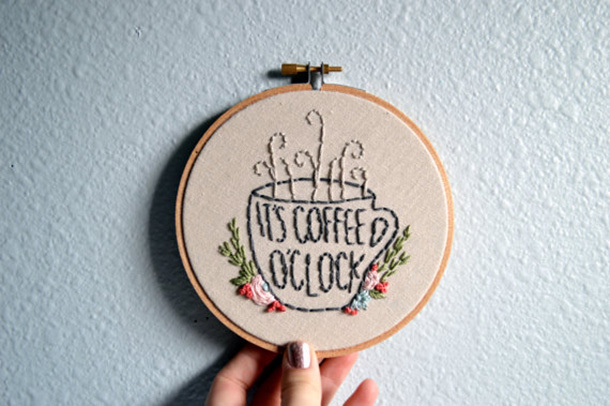 I taught myself how to embroider because I wanted to make some homemade Christmas gifts. At that time there wasn't a lot of modern embroidery so I just free handed my own designs. How do you come up with the ideas for your designs?I get ideas from just about everything! Books, music, shows, nature... you name it! I keep a little journal on me and whenever I get an idea I jot it down. If only I had time to actually stitch them all! As a massive Parks & Rec fan, I first found your shop through one of your Parks items. Are there any other pieces of pop culture that influence your work?Well, Parks & Rec is my favorite show ever, so it influences me the most. But I have lots of plans for other pop culture pieces! Specifically 30 Rock, Arrested Development, and Game of Thrones. What are you favorite pieces in your store currently?The ones that my customers can customize. I always love to see what colors / quotes people choose, and it switches things up so I'm not making the same things all the time. Do you have any exciting plans or items coming up that people can look forward to?Yes! Starting in 2017 I'm going to be making a lot more new designs that will be ready to ship. 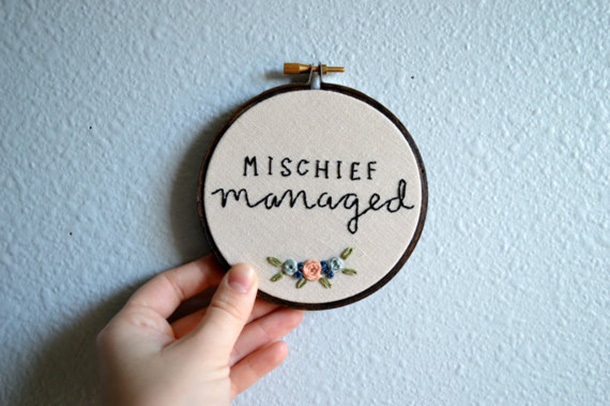 Up until now, I've been mostly running my shop as made to order, but I'd like to change that so that people don't have to wait so long for their pieces. I have also been in the process of making patterns!! 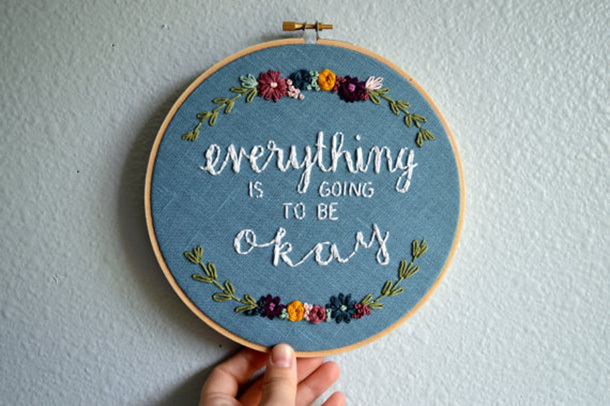 I've had so many people want to try embroidery for themselves, and I'm really excited to be sharing my designs with everyone. oh my gosh! 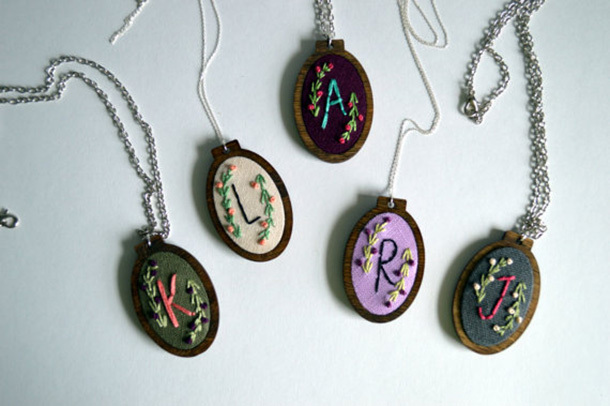 all of these are so pretty and I LOVE the custom one she made for you! a custom Christmas ornament would be such a great gift too.